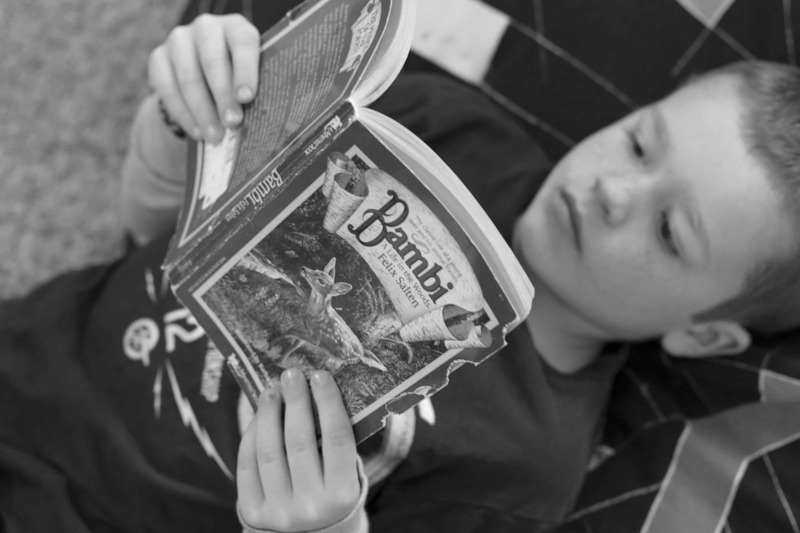 How to Get Your Child to Read - Tips for instilling a love of reading! Concerned about helping your young child love reading? You’re not alone! Every parent wants the best educational start for their children and a love of reading is where it all begins. Read on for my tried and true methods for how to get your child to read and to learn to love it in the process. I just LOVE to read. I was your typical nerdy kid with, like, 1 friend in my young life but 8000 books on my shelf. Books brought me so much excitement, curiosity, joy, pain and anticipation. All these big grown-up feels that I just couldn’t get from my 9-year-old life in the burbs of Michigan. I pretty much expected that my own kids would grow up with a love of reading…until I became a parent in this netflix-youtube-facebook-instagram generation and it hit me: WHY would any kid want to read today when they’ve got the entire world of entertainment at their fingertips?? I have a READER! A real, bonafide reader who devours big books for fun. I actually have 3 readers right now. I try to get in actual school lessons at a scheduled time every day but my 3 big kids just want to read ALL. DAY. LONG. And I couldn’t be more ridiculously thrilled. The road hasn’t always been easy: Liam didn’t show any interest in reading until about age 7…but then he caught on pretty quickly and was reading chapter books by the next year. Toby I left completely alone in this department (other than reading lots of books TO him) because he was super stubborn about it and didn’t want to even try to read. Once little sister Juliet started, though, he felt left out and decided to try. He started reading chapter books last year (at age 8) after Juliet did (at age 6). But Jules is kind of a crazy prodigy. The kid read independently at age 4 and did it all on her own. I certainly don’t know everything about this subject but it’s been a fun journey so far and I’m crazy excited to guide and watch 4 more littles on this road to reading. If I had to pinpoint any tips that have helped us get this far in the reading journey, this list would be it! Inspire your child to read! The author of the above-mentioned educational model tells a story about his 8-year-old who refused to read. The child was, however, passionate about construction and would spend hours watching a building crew work on a new house being built nearby. The dad walked over to the site, alone, one day and talked to the workers. He asked them to allow his son to help with odd jobs around the site…but only jobs that required reading. The next day, after visiting the site, the son came home and immediately asked his dad how to spell “cement”. Isn’t that great?? There’s so much our kids get excited about…we just have to tap into that! Create a reading-friendly environment. Years ago, at the beginning of our homeschool journey, I read an article my friends and I started calling “the Headgates article” (the portion of the article I reference starts on page 16). The author describes water going through an irrigation ditch and how it naturally chooses the course of least resistance. If all the gates along the ditch are open, the water will pour out whichever gate it comes to first (the easiest one to get to). If they are all closed, the water runs ALL the way down the length of the ditch to the very farthest part of the field. The author’s article compared this to our children’s attention spans. If every entertainment gate is open to our kids (TV, video games, playing with friends, etc) then they might never choose the hard path of reading lots and lots of books to get a quality education. If all those gates are closed to them, they naturally do the only thing left available and READ! It’s a little bit like how I might find myself eating brussel sprouts by choice only because they’re the last thing left in the fridge and I’m too lazy or underdressed to get to the store – besides didn’t I wear these pants to bed the last two days in a row?? But I digress. This step also involved having lots and lots of good reading material available to kids. This doesn’t have to cost a lot; I buy a ton of good, classic books at the thrift store! And weekly trips to the library are perfect opportunities to seek out and find good reading material. Stop teaching reading. I know, I know, this seems counterintuitive but it goes right along with forcing a child to read. Unless a child actively seeks you out and says “Teach me to read, Mommy” then there is no need for a formal lesson. Kids are like sponges! They just soak up everything that goes on around them. Just make sure they’re getting oodles of read-aloud time with mom, dad or a big sibling. Liam is the only kid I actively tried to teach to read and it was a disaster (again, not because lessons are bad, but simply because he didn’t ask for them!). The other day I sat down with Kira (one of the twins, age 4) because she asked me to help her write a letter. I dutifully spelled out every word she asked me for, and she wrote all the letters down perfectly. The kicker is, I’ve never taught her a single letter. Someone in the family taught her how to write her own name at some point because she asked. All the other 22 letters she picked up just by watching us read and write and learn together. Being a mom is a pretty thankless job, but every now and again we get glimpses of what we’re doing right, of the amazing adults our kids are growing up to be and these little moments are like deposits in the bank of mommyhood. They’re the best. Here’s to enjoying the ride watching these incredible creatures learn! Curious about how we manage to homeschool all these kids? Read this post about how we overcame our biggest obstacles! Great tips. Also, they need to see you reading on a regular basis. When my youngest daughter was growing up, anytime you couldn’t find her, she would be off somewhere reading a book. She is still like that today. I love reading too. What is your rule on screen time? I need to find a better one!